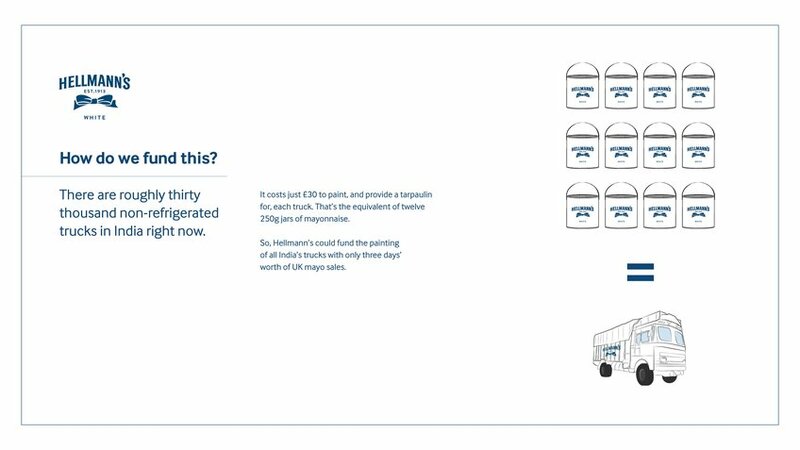 40% of the food produced in India is wasted. 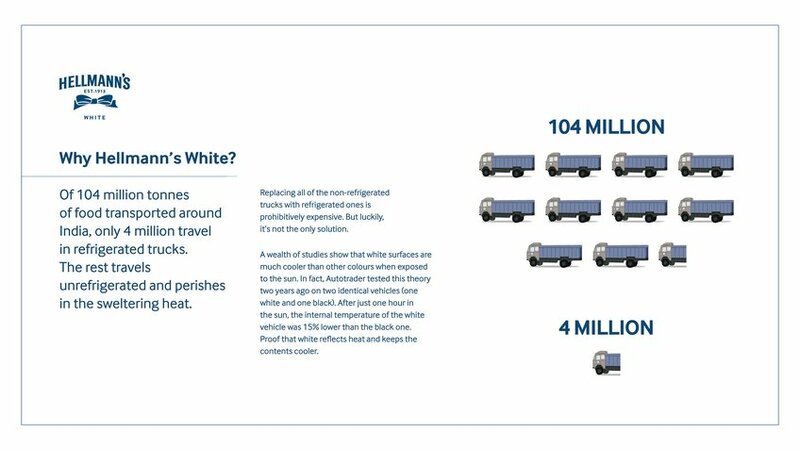 Just 4% is transported in refrigerated trucks. The rest travels unrefrigerated and perishes in the sweltering heat. 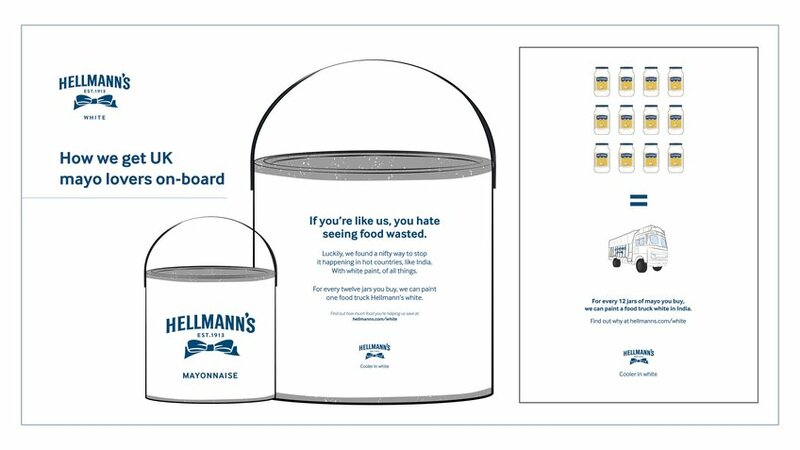 By painting India’s food trucks Hellmann’s White (for the price of 12 jars of mayonnaise), we can reduce their internal temperature by 15%, saving truckloads of food. 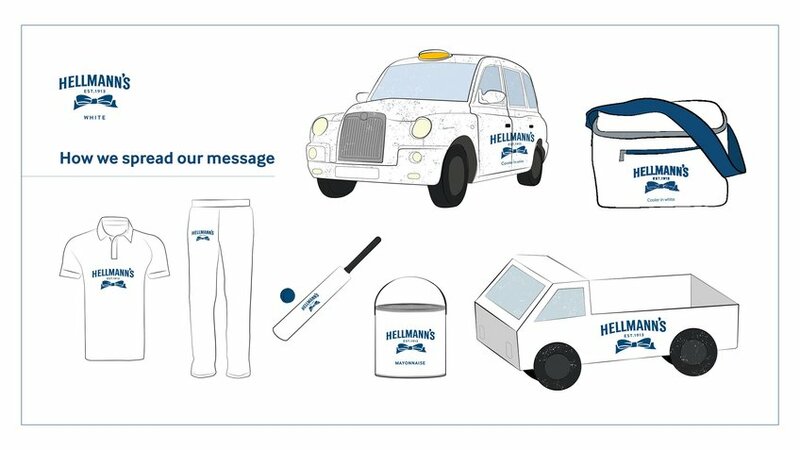 Not only do we massively reduce food waste, allowing more food to reach the country’s 190 million starving people, we spread Hellmann’s name all over the world.